Our most recent scotch review was The Macallan Edition No. 4 (click on the name to go to that review). Today we are visiting a couple more Macallans. 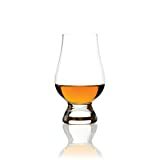 As we noted in our last review Macallan, founded in 1824, accounts for over 9% of the world market share for scotch (behind Glenfiddich and Glenlivet), and their distillery capacity, at 15,000,000 litres of alcohol per year, is second only to Glenlivet Distillery. A couple months ago our Proper Pour Whisk(e)y Club had a tasting that included eight different Macallan whiskies. We had ten tasters scoring the whiskies that night and there definitely was a preference between these two. 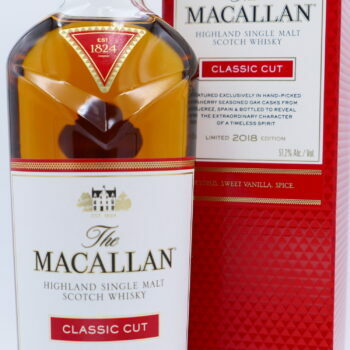 So, let’s pit The Macallan Classic Cut (2017) against The Macallan Classic Cut (2018) and see who, in our opinion, comes out on top. The Macallan Classic Cut was first released in 2017 as a new series of planned annual releases matured exclusively in American and European oak casks from Jerez, Spain. Both the 2017 and 2018 bottlings were released at a higher proof than the standard Macallan releases. And there was not only quite a bit of difference between the bottlings in proof, but on the palate in our view. As always – the notes you see below were written and the bottle scored prior to any discussion by Jeremy and me of what we nosed, tasted, or felt overall, about the dram in consideration. We have spent time with this whisky on multiple occasions. The 2017 and 2018 bottlings will be designated separately in each area below. THE MACALLAN CLASSIC CUT 2017: A nice dram – there are other Macallans though that I’ve liked better and for the price there are other sherried whiskies I’d put my money towards. Solid, but just does not hit all the notes I’m looking for in a sherried dram (WJ). Nothing outstanding or overtly disappointing, mostly “meh.” If cheaper I’d rate higher. Get the 2018 instead while you can (JR). 86 AVERAGE: Side-by-side there is a clear winner. Go for the 2018 version over the 2017. I would not seek out another bottle of the 2017, because of how much better the 2018 was in comparison. THE MACALLAN CLASSIC CUT 2018: My favorite of the three sherried Macallans we’ve recently reviewed – topping both the 2017 and Edition No. 4. 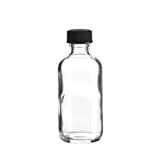 My bottle is getting low – this is one that I’ll hunt down a backup for soon. It looks like the 2019 may have an ABV closer to the 2018 than the 2017 (WJ). Rich but bright, very tasty. Year-to-year variations are intriguing, but a bit worrying (JR). 92 EXCELLENT: The easy winner between the last two Classic Cut releases. A nice sherried dram – will look for another bottle of this one. One of my favorite Macallans so far . . . 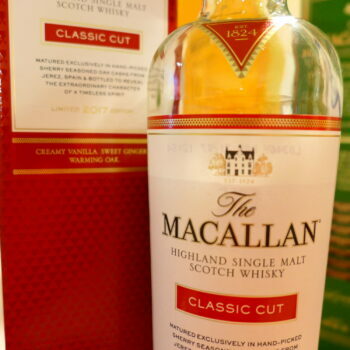 The Macallan Classic Cut 2018 was the clear winner for Jeremy and me over The Macallan Classic Cut 2017. Our whiskey club had a similar opinion, of the eight Macallan whiskies tasted in our January meeting, the Classic Cut 2018 took the top honors for the evening with a 91.5 overall rating (ten tasters) and the Classic Cut 2017 came in seventh of the eight whiskies with an 87.2 average. From our perspective there is a clear preference for the 2018 – I’d seek that one out. If you have been able to taste both of the Classic Cut releases let us know your thoughts in the comments below. Until next time, may your drams bring a smile to your face – and may they be shared with friends. I’m not usually drawn to sherried whiskies but I’ve had a sample of the Classic Cut and I did enjoy it. Pity is I don’t recall if it included the year on the label. Not sure I’d be picking up this bottle but glad I read the review as I would have probably sought out the older one, 2017 to start with. One time where older is not necessarily better it seems. I love the comparison reviews. When you try two whiskies next to each other, they suddenly show you their different character.